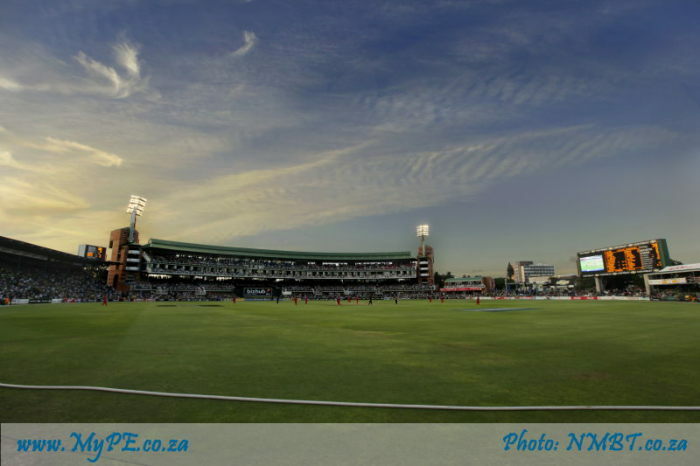 The St George’s Park Cricket Ground (also known as St George’s Park, Crusaders Ground, Crusaders, Axxess DSL St Georges) is a cricket ground in Central, Port Elizabeth – home of the Port Elizabeth Cricket Club, the second oldest cricket club in South Africa, and the Eastern Province Club. It is also one of the venues at which Test matches and One Day Internationals are played in South Africa. The ground is notable for its brass band that plays during major matches, adding a unique flavor to its atmosphere. The Port Elizabeth Cricket Club is the oldest cricket club in the country still playing from the same venue today. At the time of writing the traditional after Christams five day international between the Protes and Sri Lanka was the anticipated international test after the last test from 26 to 30 December 2014 when South Africa drew with the West Indies. St Georges – the sixth oldest cricket ground in the world – was the venue for the first Test, the first women’s international Test, the last Test before South Africa’s expulsion from world cricket, the first ever Test series win against Australia, the first Rebel Test, and the first Test victory for South Africa with the resumption of ‘normal’ cricket. The 19 000 spectator capacity ground hosted its first Test match in March 1889 when England defeated South Africa by 8 wickets. This was South Africa’s first Test match. The first One Day International played at the ground was in December 1992 when South Africa beat India by 6 wickets. St George’s Park was one of 15 venues in South Africa, Zimbabwe and Kenya selected to host matches during the 2001 Cricket World Cup. It hosted 5 matches during the tournament, including 3 group games, 1 super six game and a semi-final. When the 2009 IPL (Indian Premier League) was moved to South Africa, St George’s Park was chosen as one of 8 venues in South Africa to host matches. The ground hosted a total of 7 matches, all of them were group games. The stadium is one of the Warriors’ 2 home grounds, the other being East London’s Buffalo Park. The stadium hosts Warriors home matches in the Sunfoil Series, Momentum 1 Day Cup (previously the MTN Domestic Championship) and Pro 20 Series. South Africa’s first rugby international against England in 1891 took place atSt Georges Park. In 1896 it witnessed one of Test cricket’s most remarkable games. England’s George Lohmann took 7 for 38 in South Africa’s first innings and then 8 for 7 in their second as they were bowled out for 30.